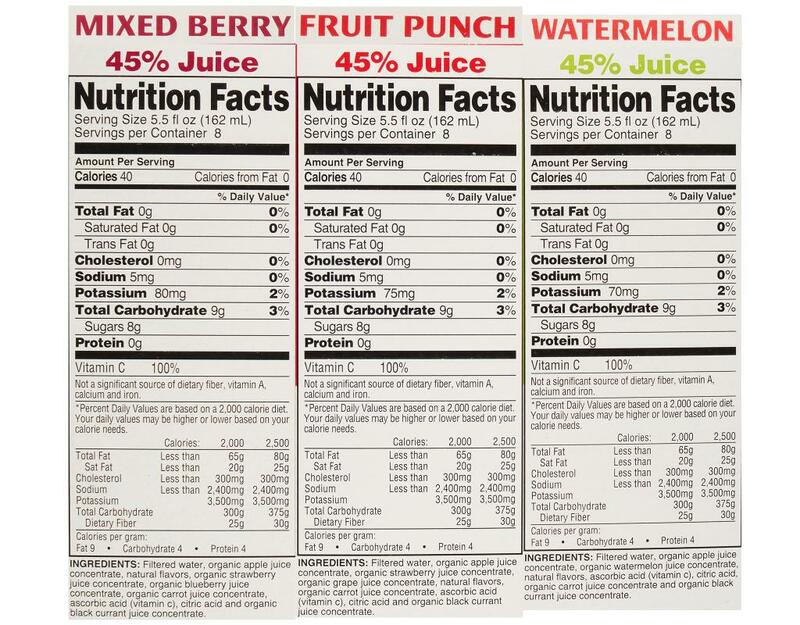 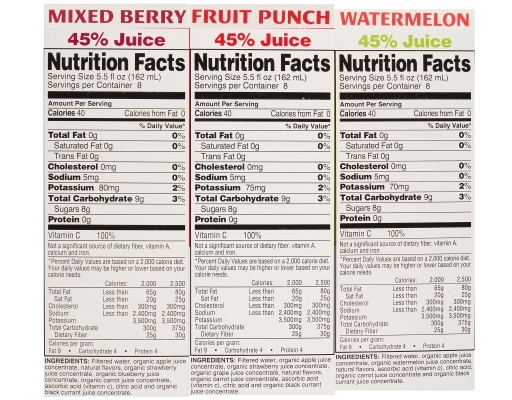 Tropicana Kids premium fruit juice drinks are certified USDA Organic offering delicious taste for kids with nutrition parents expect. 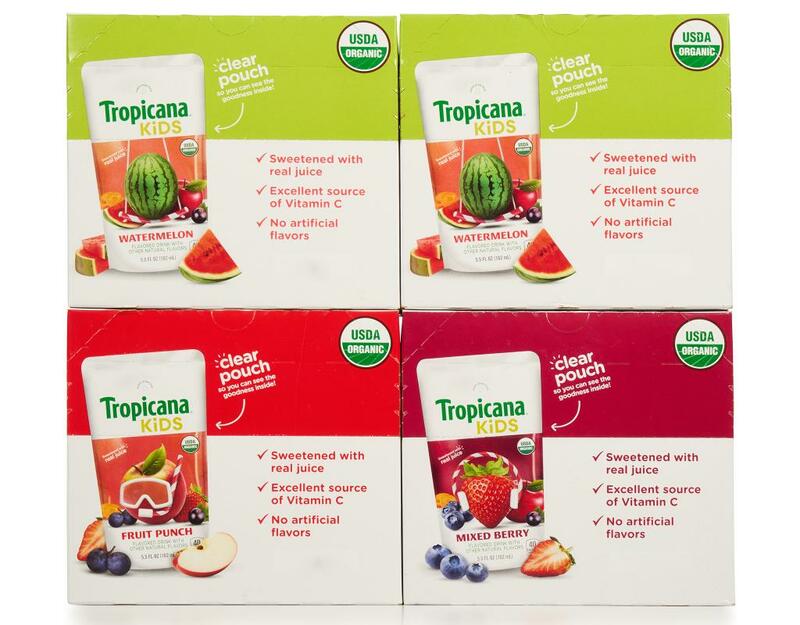 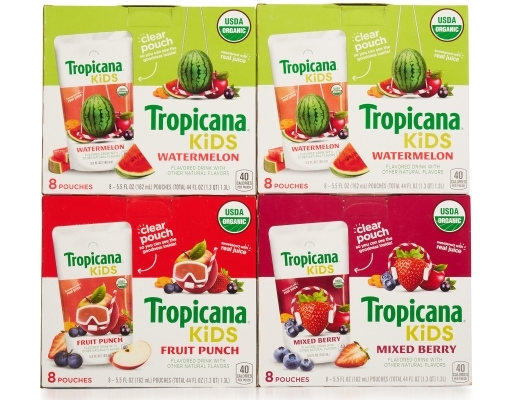 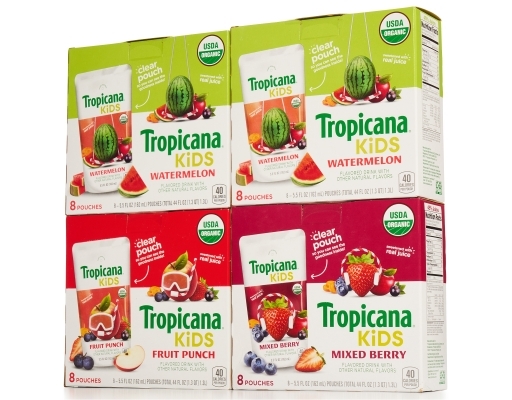 Available in three flavors—Fruit Punch, Mixed Berry and Watermelon—Tropicana Kids is made with 45% real fruit juice and mixed with filtered water, with no added sweeteners, no artificial flavors and is an excellent source of vitamin C. Plus, the packaging features a clear panel so moms and dads can see the goodness inside, and feel good about serving Tropicana Kids to their children. 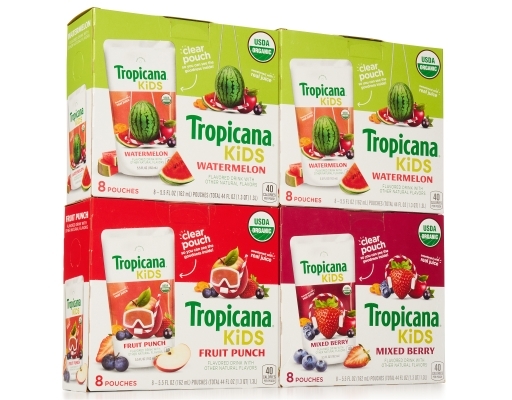 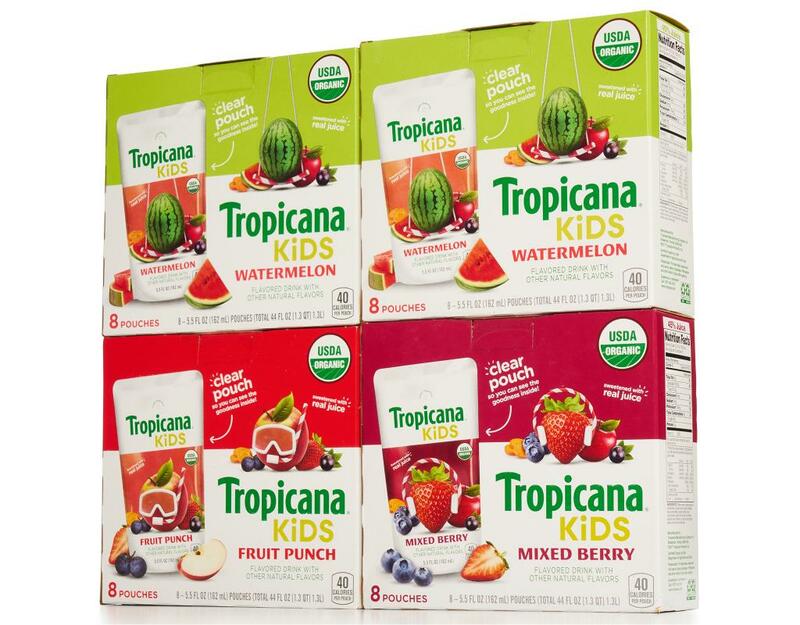 • 16x Watermelon: Tropicana Kids Watermelon juice drinks give you a delicious taste of summer, no matter the season. 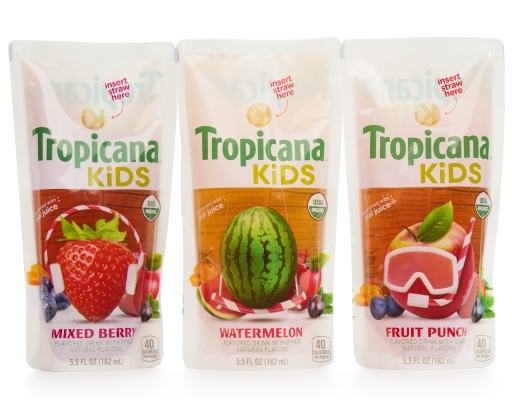 It’s the taste kids love, sweetened with real fruit juice and USDA certified organic. 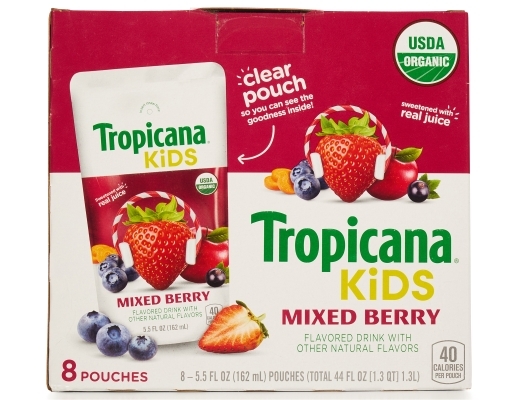 And all that Vitamin C goodness is clearly visible through the window in the pouch. 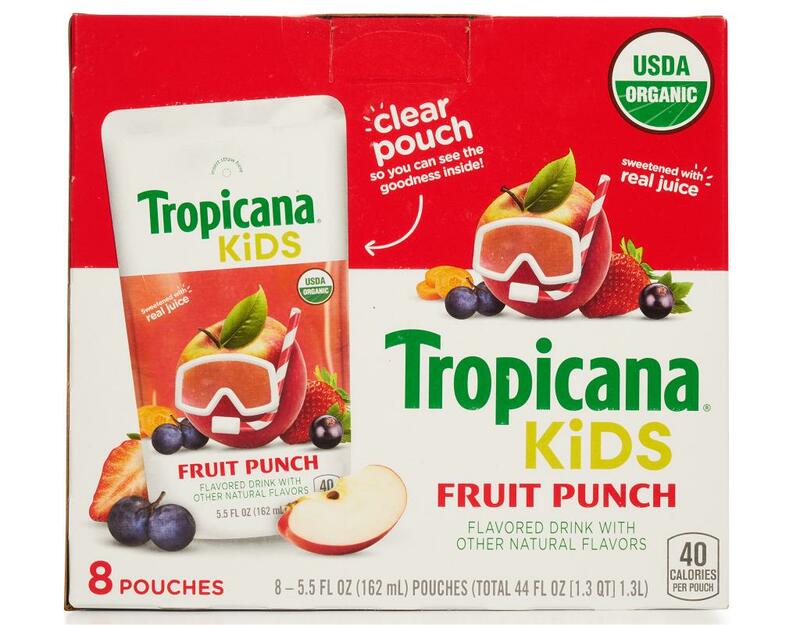 • 8x Fruit Punch: It's the flavor you loved as a kid paired with the nutrition you appreciate as a parent. Tropicana Kids Fruit Punch juice drink is a delicious lunchtime staple, sweetened with real fruit juice and USDA certified organic. The clear pouch means you can see—and love—the goodness inside. • 8x Mixed Berry: A twist on a familiar classic, our Tropicana Kids Mixed Berry flavor is the drink you wish you had when you were a kid. 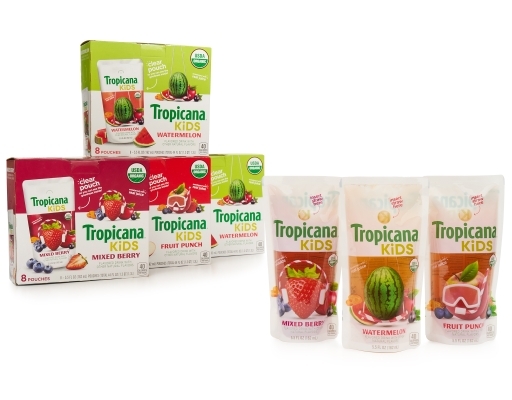 It’s delicious, has 100% of the daily value of vitamin C, and comes in transparent packaging, so you can see the goodness inside. 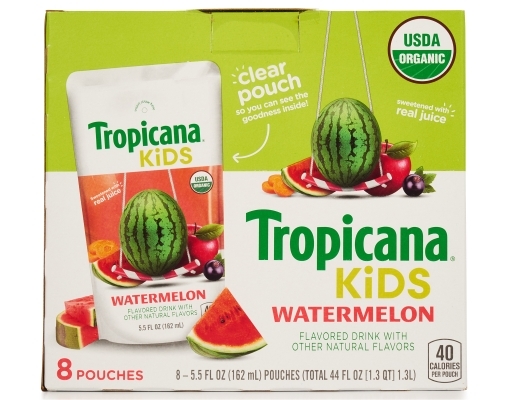 It's sweetened with real juice and USDA certified organic.